I love wearing a denim jacket. Much like a raincoat, a denim jacket is the perfect grab and go when the weather is on the chilly side or when you need a little something extra for an outfit you are wearing. I love it over a light sweater, any cute t-shirt, or even over something sleeveless like this darling top here. For weeks it has been hanging in the coat closet downstairs so I can grab it as I am running out for everything from carpool to dinner, it is just the perfect accessory for this time of year that can be so very breezy. This darling top, which I think every single one of you would love, is a great score. 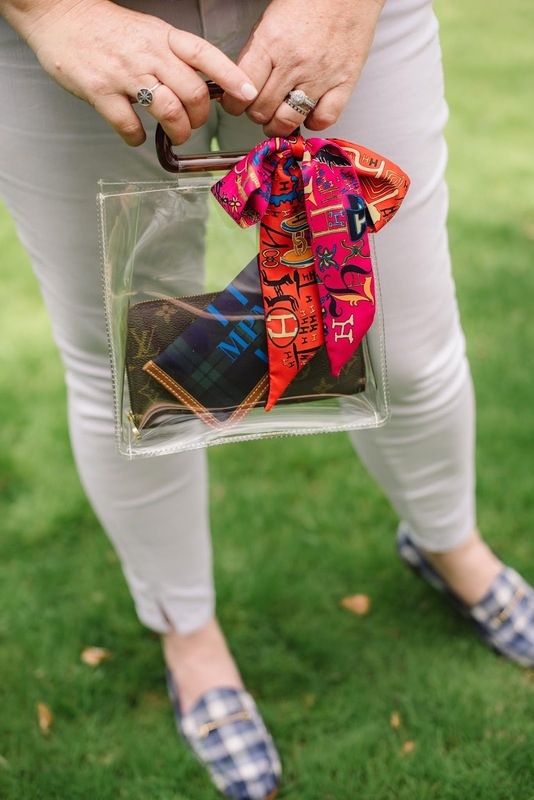 And while you are on the site, grab the shoes, the bag and the scarf. Add in this pair of white jeans + this denim jacket and you can shop it all in one location. Amazon surprises me all the time with the amount of items offered. Cute outfit ... check! I am loving these loafers more than I knew I could. 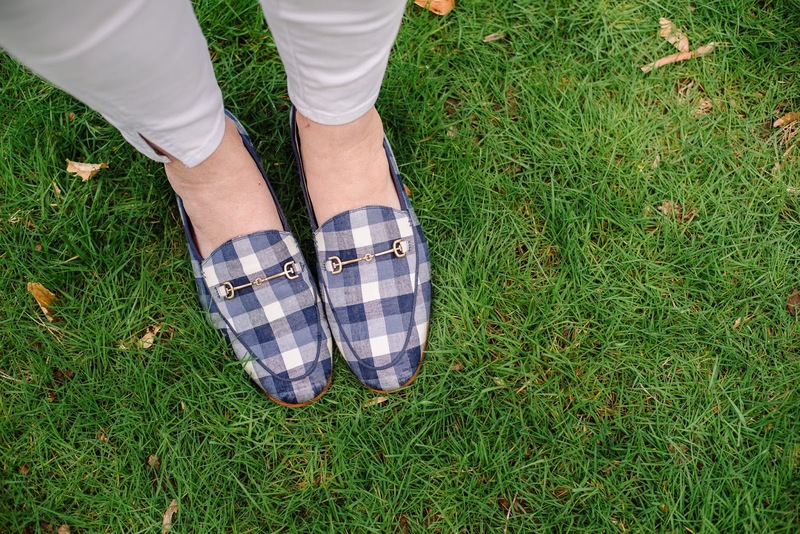 When my friend Ashley (who has the best taste ever) posted the linen pair last month I went to check them out and discovered the blue gingham. I don't think I ever ordered anything faster than these and have worn them like crazy ever since they arrived. They are that good. 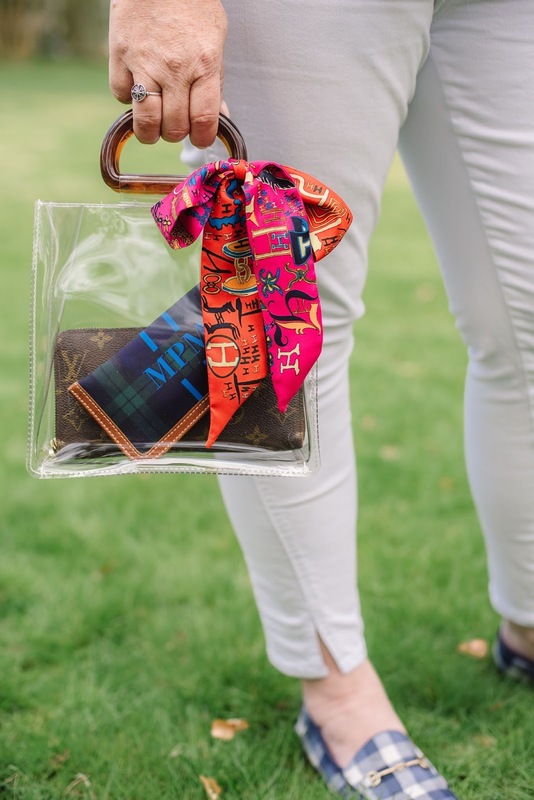 Oh, and if you need a stadium style bag I think this one fits the bill perfectly and is still so chic. 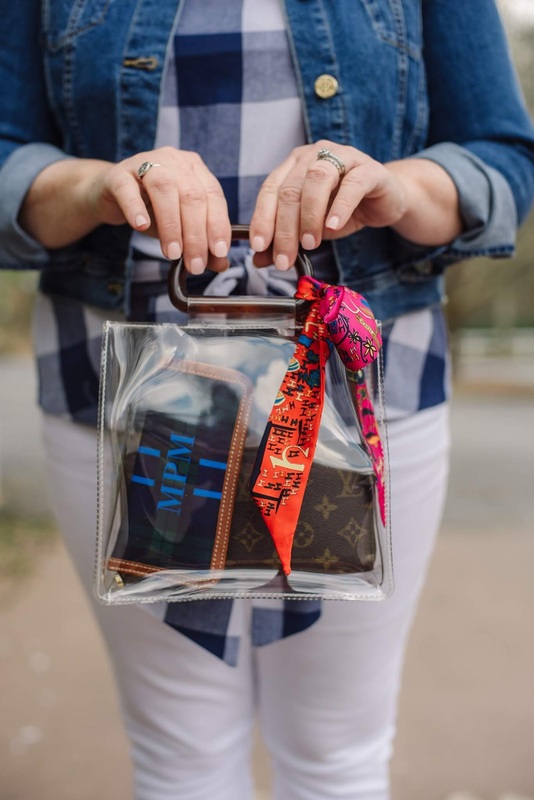 We live so close to the Braves stadium and try to watch as many games as works for us and having a stadium purse makes getting in so much easier. Isn't it so cute?